Sauber have announced they will be known as Alfa Romeo Racing from the 2019 Formula 1 season. Alfa Romeo was last on the Formula One grid as a constructor in 1985, but returned to the sport in 2018 as Sauber’s title sponsor. Sauber has been a fixture in Formula 1 since 1993, formed when team founder Peter Sauber jumped ship from sports car racing. The Swiss team say the ownership and management structure will remain unchanged, but the Sauber name will disappear. Speaking via BBC, team principal Frederic Vasseur said: “After initiating the collaboration with our title sponsor Alfa Romeo in 2018, our team made fantastic progress on the technical, commercial and sporting side. “This has given a boost of motivation to each team member. The Italian car manufacturer dominated the early years of Formula 1, with Giuseppe Farina winning the inaugural World Championship driving an Alfa in 1950, before Juan Manuel Fangio claimed the first of his five titles with Alfa Romeo a year later. The 2019 driver line-up also features a former World Champion, with 2007 champ Kimi Raikkonen set to partner Italian upstart Antonio Giovinazzi. 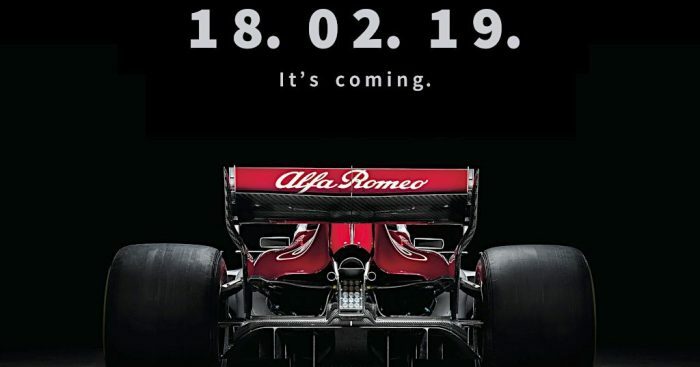 Alfa will roll out their 2019 car on the first morning of pre-season testing, which gets under way in Barcelona on 18 February.